Monitoring pressure at high temperature and in corrosive environments is required in many applications involving harsh operating conditions, such as gas turbines, jet engines, internal combustion engines, oil & gas exploration, chemical industry and other process control applications. New generation control systems with such capabilities are needed to improve equipment lifetime and safety, reduce fuel consumption, improve energy efficiency and reduce harmful emissions. Availability of sensors that can operate in harsh conditions is hindered in part by the challenges in making microcomponents from refractory materials suitable for such environments. produced and completed initial validation of preliminary sensor prototypes. We now seek partnerships for further validation of the technology and application development. Contact us for partnership opportunities and additional information on this product. 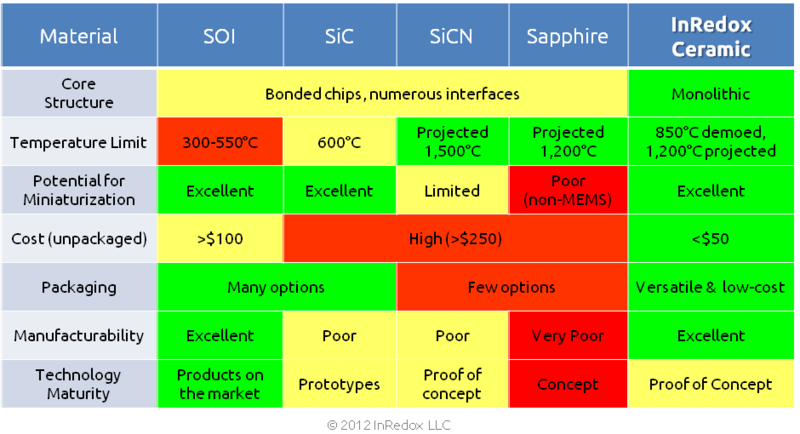 InRedox is developing a new type of low-cost ceramic pressure microsensors for high temperature applications (650-1200°C), far exceeding the capabilities of current state-of-the-art commercial sensors (<650°C). 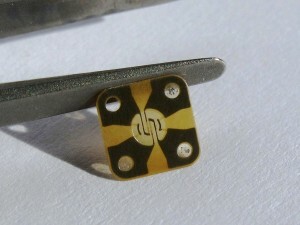 InRedox' sensors are based on a proprietary technology for creating monolithic 3-D ceramic microstructures that enables significant user advantages and excellent market differentiation potential.